Arguably Britain’s most prolific and well-loved actor, Michael Caine has appeared in over 150 films in his illustrious and multi-dimensional career. The 81 year-old screen legend, born Maurice Micklewhite, is the only actor besides Jack Nicholson to have been nominated for an Oscar in every decade from 1960s-2000s, and there’s still time for the 2010s! 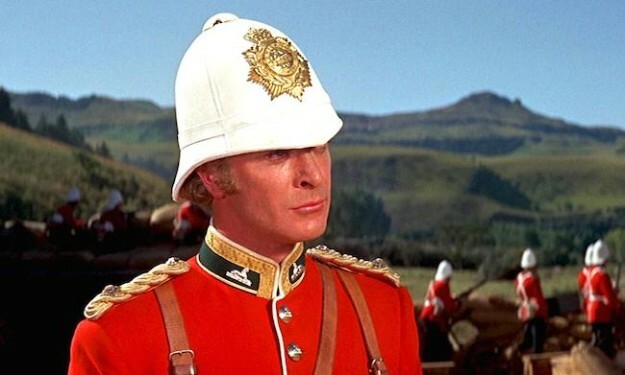 To celebrate the 50th Anniversary Blu-ray and DVD edition of the film that ignited his career – Zulu – on 5th May, FilmJuice takes a look back at the Londoner’s top ten movie moments. Caine truly cemented his Hollywood status as MI5 operative and anti-James Bond, Harry Palmer, in this thrilling novel adaptation. He plays an army sergeant transferred to British intelligence to help solve the “brain drain” of seventeen top scientists, who’ve been kidnapped and returned with their knowledge of technical matters gone. Espionage drama obviously suited our protagonist, as he went on to revive the character in five subsequent films: Funeral in Berlin, The Billion Dollar Brain, Bullet To Beijing and Midnight In Saint Petersburg. Nominated for a Golden Globe, this iconic crime caper sees Caine shine as Charlie Croker, the leader of a team of con artists on a gold-bullion under cover of an England football international. Famous for its exhilarating car chase scene with mini coopers racing across Turin, this cult heist movie has become a cinematic staple, lending itself to a glossy remake in 2003 starring Mark Wahlberg. It was even referenced during the opening sequence of the 2012 London Olympics. One of his most violent roles to date, Mike Hodges’ dark revenge thriller launched Caine as a new type of leading man – the anti-hero. When his brother dies under mysterious circumstances in a car accident, London gangster Jack Carter travels to Newcastle to investigate. A cockney Angel of Death, Carter sets out to track down the man responsible, discovering all kinds of corruption, betrayal and insidious acts in the process. Keep an eye out for a cheeky cameo in Stallone’s 2000 remake. This excellent cat-and-mouse mystery pits Caine against the mighty Sir Laurence Olivier. Caine plays Milo Tindle, a self-made successful hairdresser who is sleeping with the wife of the knighted and wealthy crime fiction writer Andrew Wyke. This high-stakes drama sees an impressive battle of wits ensure in a potentially deadly series of games that earned both actors an Oscar nod. 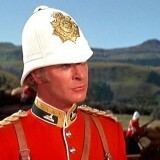 In an interesting twist, Caine swapped roles for the modern remake, going head to head with golden boy Jude Law. Based on a Rudyard Kipling short story, Sean Connery stars alongside Caine in this action adventure, which follows two former British soldiers in India. Peachy Carnehan and Daniel Dravot decide to resign from the Army and set themselves up as deities in Kafiristan – a land where no white man has set foot since Alexander. Though the two powerhouse actors have undeniable chemistry, the real relationship in this epic is with Caine’s real life wife Shakira, who plays his love interest, Roxanne. Dr Frank Bryant is a run-down, alcoholic English Professor whose life is suddenly invigorated when a spirited new student enters his classroom. Julie Walters is the gloriously outspoken hairdresser and housewife, who decides to complete her education via an Open University programme. As each begins to wake up to life in their own way, the story comes to a close as an inspiring tale of self-discovery and of the power of choice that comes through education. Based on Willy Russell’s popular play, this powerful performance earned Caine his first Golden Globe win for Best Actor the following year. Michael Caine and funny man Steve Martin excel in this laugh-out-loud comedy about two competing conmen in the South of France. Wined and dined by tourists, the two wily gentlemen plan to settle their rivalry by betting on who can swindle a young American heiress out of $50.000 first. This is without doubt Caine’s finest comedic performance, a particular highlight are the scenes where he is posing as Martin’s idiot brother, Ruprecht. The second in Christopher Nolan’s mind-blowingly popular trilogy sees Michael reprise his role as loyal butler and Wayne family confident; Alfred. This instalment is the only film in the trilogy to win an Oscar along with a whopping 69 other nominations. The film’s success owes in no small part to Heath Ledgers’ haunting turn as The Joker. Caine’s performance in these blockbuster re-boots may have come in the later part of his career, but has served to solidify his place in film lover’s collective consciousness for generations to come.